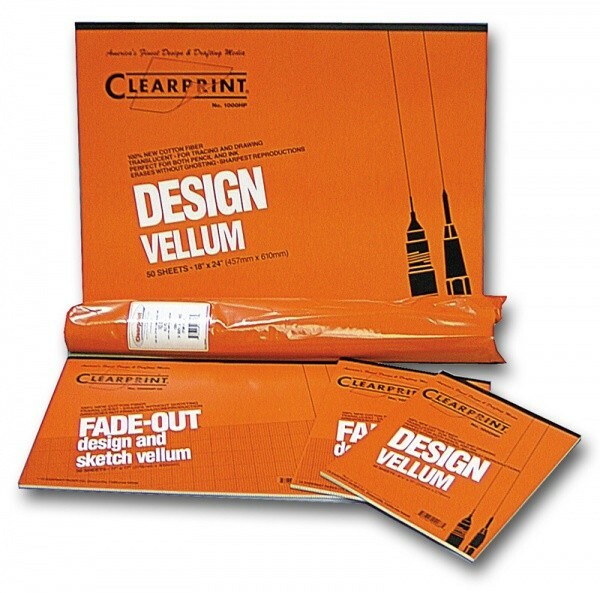 Clearprint 1020 20lb Vellum - GS Direct, Inc.
A heavier weight version of the legendary 1000H. Added weight and feel are desirable in some cases where additional weight is required. Good for pencil or ink. No skipping, spreading, or feathering. Archival quality with Clearprints’ legendary strength, erasability, no ghosting, and redraw characteristics.